Topics: Discussion of major world religious beliefs, God, spirituality, Chinese culture, traditional Chinese medicine including acupuncture. This episode was a lot deeper than any other so far. 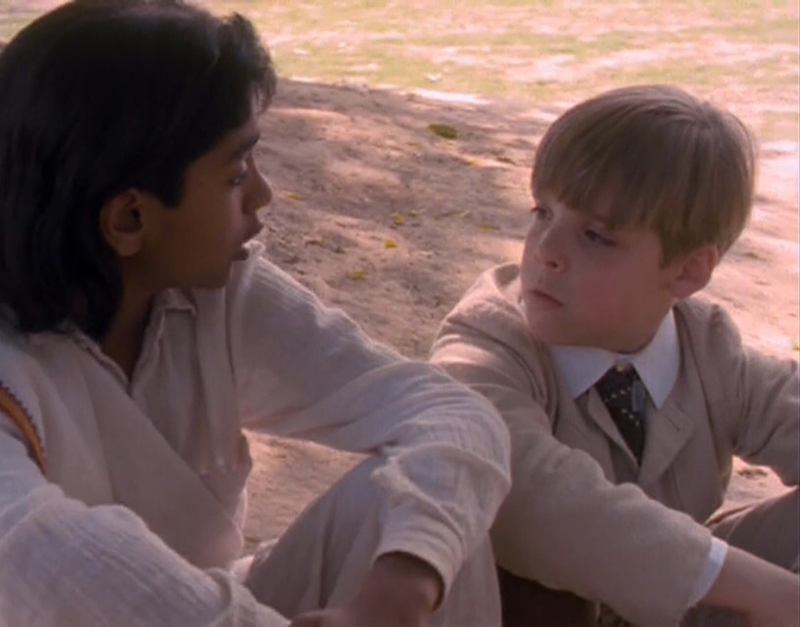 I really enjoyed the religious discussions that Indy had with Krishnamurti. Some great insights. Nothing violent or disturbing in the first half to watch out for. Just really interesting insights into the world’s religions, and I really liked the visits to the holy places. Great religious education for our children! 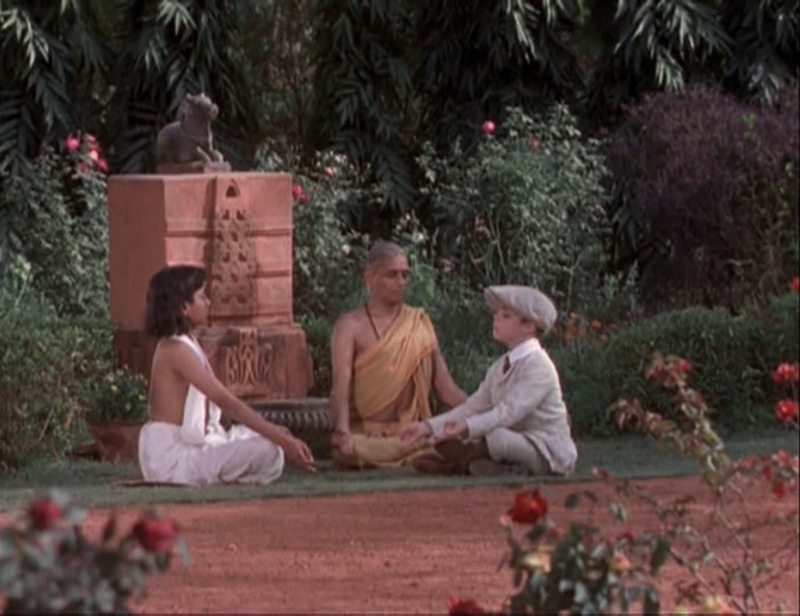 Indy even tried his hand at meditating. With pretty cute results, LOL! Krishnamurti was incredibly insightful for a young child, messiah or not. 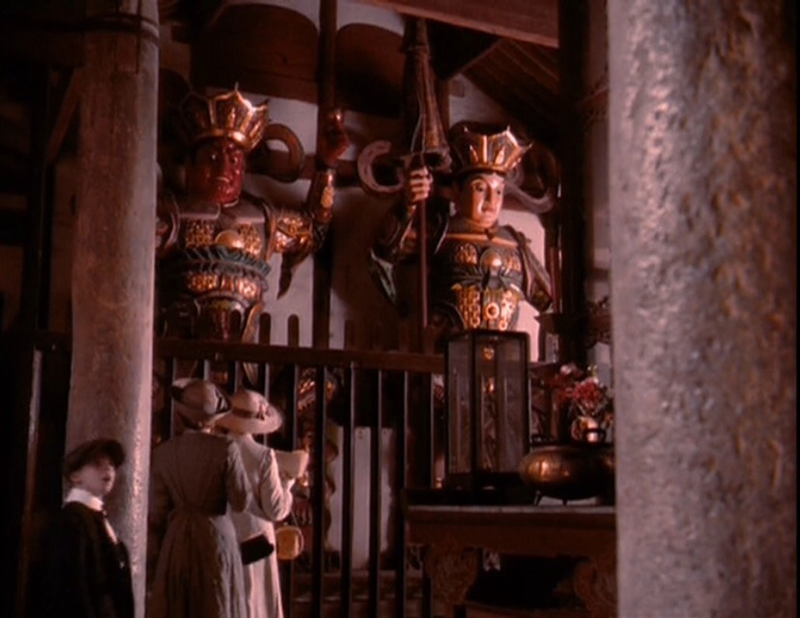 In the second half of this episode, the family traveled to China. 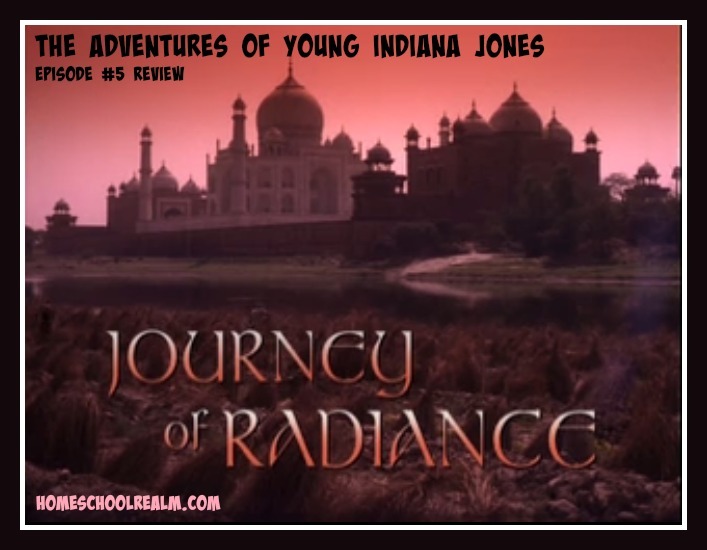 The adventure went from bad to worse when Indy became deathly ill in the middle of nowhere, just as they lost their wagon and luggage in a bad storm. Holed up in a villager’s home, it gets pretty tense as no one knows if Indy will live or die. But despite this, I don’t think there really was anything to be concerned about in this episode. Indy’s mom has to put her faith in the kindness of strangers and the hands of traditional Chinese medicine to save her son’s life. 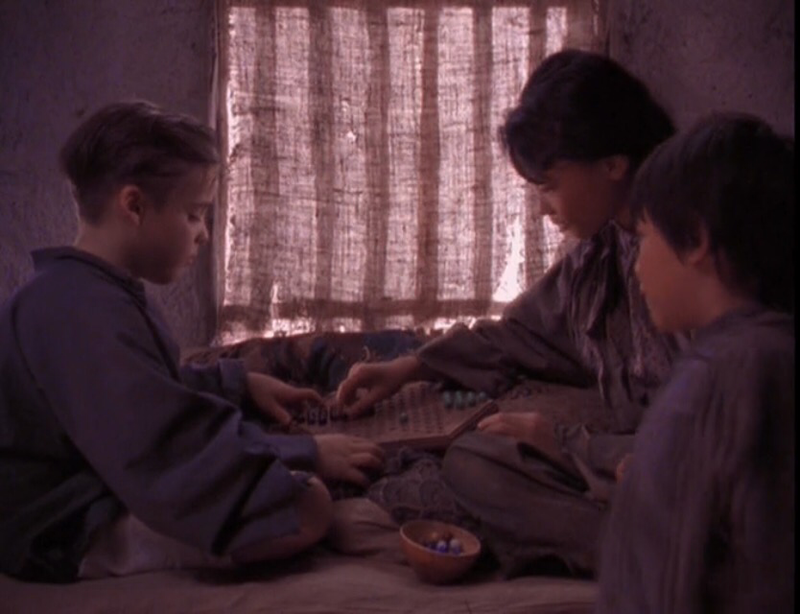 Of course he survives and lives to lead a game of Chinese checkers while speaking perfect Chinese. This kid picks up languages fast! All in all, this was a great episode for children to watch…I didn’t see anything in it to be concerned about shielding or being aware of. 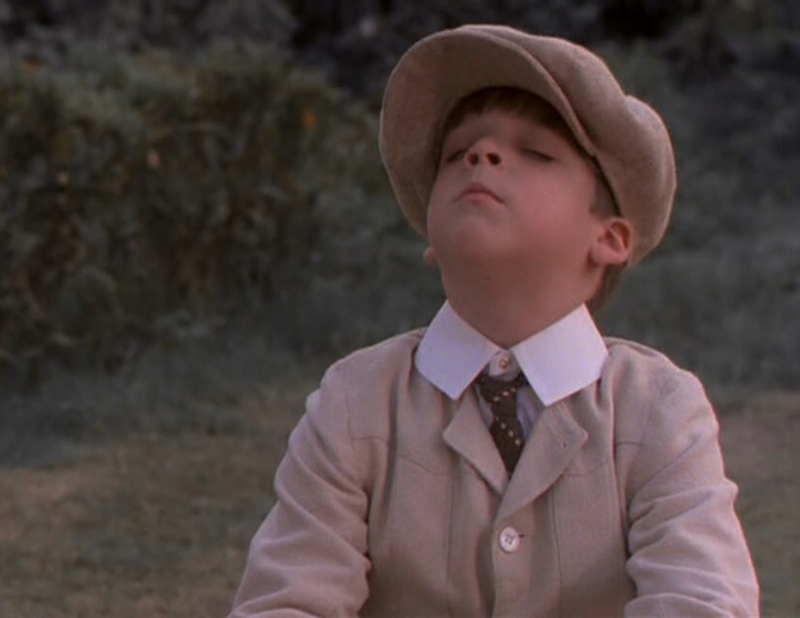 I do NOT recommend Young Indiana Jones, the teen years.